Will the Young and the Restless' Phyllis Newman Abbott hang on to her temper? Come to the Main Stage on Saturday at 1pm to find out! Phil Long Lincoln brings Gina Tognoni to the Women’s Living Expo! Come meet Gina Tognoni who plays the firecracker, Phyllis Newman Abbott on THE YOUNG AND THE RESTLESS. Soap fans also know Gina as Kelly Cramer on One Life To Live and her two-time Daytime Emmy winning star turn as Dinah Marler on The Guiding Light. Gina will also be presenting Sole9 – the shoes that give back! -- Her line of women’s footwear that give back to organizations that fight Domestic Violence. Meet Gina for Autographs in the Phil Long Lincoln booth #200, after her stage appearance! Calling All Y&R Fans! Auction to Benefit the National Coalition Against Domestic Violence! During her Stage appearance, Gina will hold a Y&R Auction! Young & Restless Script autographed by cast members. Online Pre-bidding has concluded, TH=he Live Y&R Auction continues at our Expo on Saturday at 1pm! $250 Y& R Script - Allison S..
$27.77 Autographed Photo- Peggy R.
$100 Y&R Swag Bag - Allison S.
$25 Y&R Set Visit Pass - Amanda W.
All Proceeds from the auction and a portion of the proceeds from the sale of shoes at the Expo will benefit NCADV - Women Against Domestic Violence. Please note that; This auction item DOES NOT include ANY travel expenses or lodging. Tour group is for no more than 2 people. Date of set visit is subject to the discretion of the Production. Set Pass must be redeemed no later than September 2016, All other items much be picked up at the Expo before Sunday Sept 13 at 5pm. 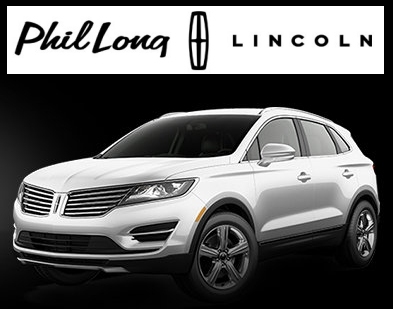 Phil Long Lincoln is proud to be a premier Lincoln dealership in the Colorado Springs area. From the moment you walk into the showroom, you’ll know their commitment to customer service is second to none. Whether you need to purchase, finance or service a new or pre-owned Lincoln, you’ve come to the right place. Phil Long; proud to call Colorado Springs home.